Missouri law now requires college and university students to pass a civics test to graduate. A new Missouri law requires all public colleges and universities to administer a civics exam to students as a requirement for graduation. It was part of Senate Bill 807, which went into effect on August 28, 2018. The law will apply to the incoming class of first-time college students in the fall of 2019 and all students who come after them. The law says the exam must be 50 to 100 questions similar to those on the U.S. Citizenship test. The subject matter must include the US Constitution, the Bill of Rights, and other areas of government and history. According to the Missouri Department of Higher Education, each institution is responsible for creating and administering a civics test for their students. Some schools, like Ozarks Technical Community College, are still considering whether to offer the test as part of a course. Tracy McGrady is provost and vice chancellor for academic affairs at OTC. She says OTC is considering working with other schools to create one uniform test. “I think it’s just a matter of, again, working out the logistics and the details of how we would create that centralized system and how we would all have access to it,” McGrady said. 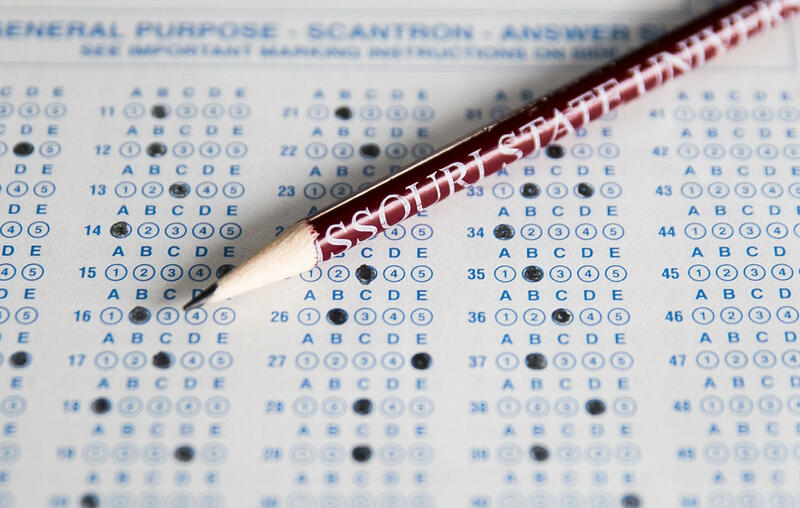 Nicole Epstein, general counsel and legislative liaison for the Missouri Department of Higher Education, confirmed that schools may work together to administer the same test if they wish. “As long as it follows the guidelines within the statute, then they can kind of work together to create one exam that would fulfill that requirement and could be utilized at each institution,” Epstein said. Some educators say they don’t think the statute was necessary because required classes already cover civics. Dr. Kathleen Kennedy chairs the History Department at Missouri State University and says faculty from both the history and political science departments will be writing and selecting the questions for the test at MSU. Kennedy also said the exam will most likely not be given as part of a class, but as an independent exam. According to the law, students must score at least 70 percent on the examination before they can graduate. Kennedy said if they score lower, then they can retake the test. Both Missouri State and OTC say they are still in the early stages of planning how they will ultimately implement the exam to students. You can read the entire text of Senate Bill 807 here.